Alternative sources of energy have become increasingly more popular in recent years, with a large cross section of people and businesses wanting to reduce their carbon footprint and their impact on the Earth, but with numerous technology and energy options available, it’s hard to know which will be best for your business. Wood pellet boilers are a natural fit for businesses across all sectors, offering energy on demand, flexibility, ultra low carbon output and low running costs. Wood pellet boilers are as easy to use as any conventional boiler and are fully automatic, so you don’t have to worry about constantly adjusting the settings or topping up the fuel. Wood pellets can be delivered in bulk directly into the pellet store, so handling is as easy and quick as conventional oil or LPG deliveries. Pellet boilers burn the fuel cleanly and efficiently and require no day-to-day care, simply emptying the ash bin once a month, depending upon how hard the boiler is run, is sufficient maintenance. Wood pellets are a clean, sustainable source of energy and 100% of our timber supplies at Land Energy are UK sourced. The energy delivered by a wood pellet boiler can comfortably demonstrate a net 85%+ net carbon saving over burning oil, well ahead of the European benchmark requirement of 60%. Wood pellet boilers are typically 85%+ efficient, so you’ll get the most heat out of your fuel. Operations and maintenance costs are comparable to a conventional oil boiler and regular servicing involves simple task that can often be carried out by on-site staff to help keep costs low. 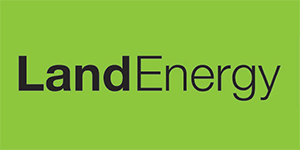 Land Energy are a trusted supplier and installer of biomass boilers, and in our years of trade we’re proud to have worked with some well known companies and on special jobs. To read more about the high standard of work we deliver, you can see some of our case studies on our more recent work here. Contact us today for more information – we’ll be happy to help.